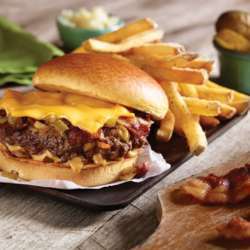 Homemade burgers are prepared daily with a blend of premium meat from Certified BBQ Secrets, grilled on a charcoal grill. Different kinds of bread, of natural fermentation, are made especially for each type of sandwich. Famous for the high-quality ingredients and the tempting vegetarian burger.